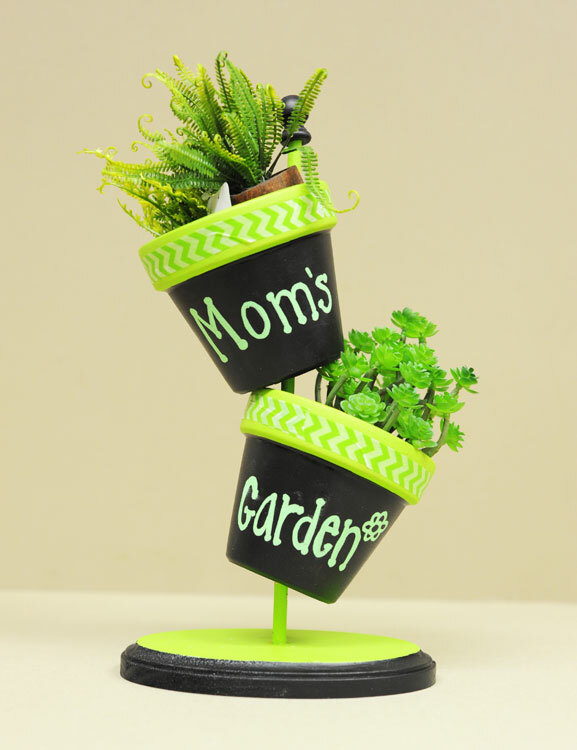 Accent your home or garden with a topsy turvy planter! 1. Using the foam brush, apply the paint in the color of your choice to the rim of both pots. 2. Set them aside to let dry. 3. 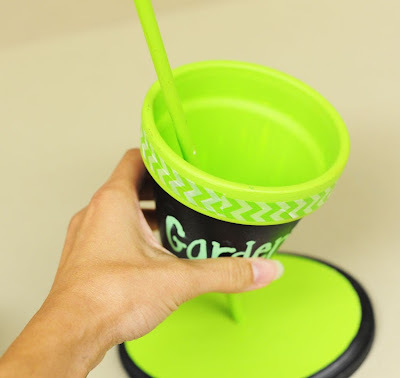 Apply the chalkboard paint with the foam brush to the pots (below the rim) and set them aside to dry. 4. Take a drill to make a hole into the wood plaque and apply E-6000 into the hole. 5. Insert the dowel securely into the hole and let it dry. 6. 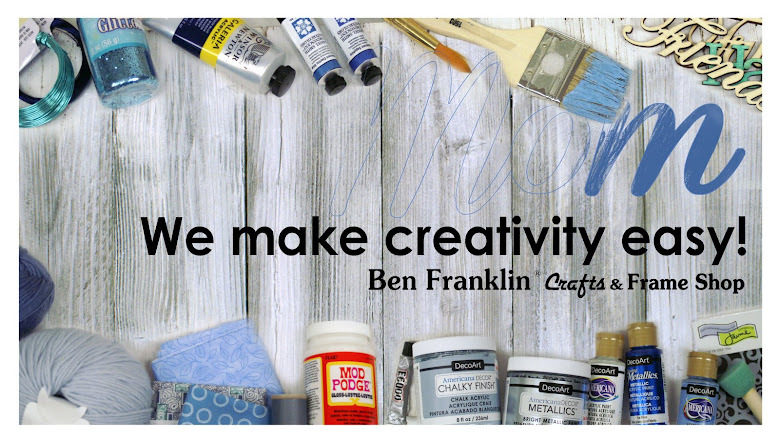 Paint the dowel and plaque in the color of your choice and set it aside to let dry. 7. Apply washi tape to the rims of both pots. 8. Cure the surface of the chalkboard painted areas by following the directions on the chalkboard paint bottle, then you will be able to write on the surface of the pots with chalk or chalk marker. You can use the pots for both real and artificial plants. Fill the pots and place them onto the dowel at an angle. Now, it's ready to display! For more projects, visit our Project Gallery on our website here.